Giuseppe Kitchen and Bath is a full-service West Chester PA general contractor that specializes in professional kitchen, bathroom, tiles and countertops renovations and remodeling designed to serve your lifestyle needs. With over 30 years of experience, we are confident to get the job done accurately and fast with uncompromising workmanship and care. 6X BEST OF HOUZZ! Our designers work with you to join your dreams with our craftsmen's expertise bringing you a style you will love. Our specialty is kitchen and bathroom design and remodel as well as custom laundries, mudrooms and offices. We design and supply custom and limited custom cabinets. In 1996, Tom and Jean Buchen decided to unite Jean’s recent accreditation as a certified kitchen designer with Tom’s life-long involvement in the construction and installation industries under one roof. Since that time, K T Highland, Inc. has remodeled kitchens and bathrooms in more than 30 homes each year from the Philadelphia to Harrisburg areas. Jean and Tom, and their team of design/sales people and installation professionals bring the best in kitchen and bathroom design and construction expertise to the table. The ability to comfortably communicate the team’s ideas to each other and to you makes a project with K T Highland, Inc. run smoothly. Whether you need to hide a small washer and dryer behind your cabinets or want your kitchen to reflect the architectural style of your home, K T Highland, Inc. will design and install your dream under your favorite roof—your own. 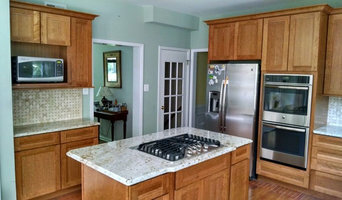 Chester County Kitchen and Bath Remodeling Experts - 5X Best of Houzz! Serving Chester County for over 25 years, we are dedicated to the complete satisfaction of every customer. 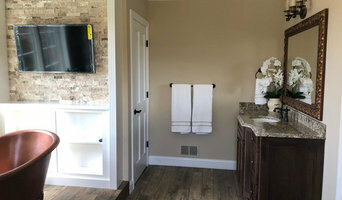 The Home Improvement Coach is a full service interior remodeling firm specializing in Bathroom Remodeling, Custom Showers, Kitchen Remodeling, and Basement Finishing. We deliver premium quality craftsmanship at reasonable prices, based upon a fully transparent cost model featuring No Markup on fixtures and materials. And for our DIY minded clients, we also offer an industry exclusive “coaching” service, where you can step in to handle parts of your project with which you’re comfortable. We’ll give you the expert advice and hands-on instruction needed to achieve professional results in those areas. Beyond that, we’ll handle all other aspects of your project as a full service remodeling contractor. For the best experience in interior remodeling, contact us today to discuss your project! James C Schell LLC is a full-service home renovation and remodeling company servicing Chester County PA. We specialize in the renovation, preservation, and restoration of residences by offering a wide range of skills for projects of all sizes. Our trademark customer service includes working with clients on a very personal level, helping them articulate their visions, and then adapting those visions into designs that are both functional and beautiful. We’ve established relationships with superior tradesmen and leading suppliers of building materials and finishes. We pay special attention to scheduling, appointments, budgets, and deadlines. And we focus on delivering a project that demonstrates exceptional craftsmanship and outstanding results -- one that exceeds our clients' expectations. We look forward to working with you! Dovetail Group is a full service Design/Build firm now in our 12th year of operation. Our team has over 50 years of industry experience in new construction, renovation and restoration work. We want to combine excellent design and construction methods with the science of deep energy and GREEN construction techniques to assist our clients in creating healthier and more sustainable living spaces. We enjoy working with clients who understand that combining good design with quality craftsmanship is the best way to achieve great results! Jonathan Scholl likes applying all facets of his professional career, a degree in Mechanical Engineering, 3 years work in a German woodworking shop and 10 years of Project Management in the Commercial and Residential markets of Philadelphia, New York City and Washington DC, helped to develop creative project solutions which meet a clients budget but exceed their expectations. Feel free to give us a call, consultations are FREE ! Chip Greth owns Innovative Kitchens and Baths and is personally involved in each project, large or small. I'm always committed to exceeding the client's expectations. As a full service design/build remodeling company, I thoroughly enjoys transforming people's dreams into reality. My company is built on a foundation of unique design and an exceptionally high standard for quality. I'm excited about the opportunity to learn about the vision you have for your project and in turn, to tell you a little bit about us. I hope you'll find our projects inspiring. If you are looking to remodel your kitchen or bath, give us a call at (484) 925-2264 or click the "Contact Me" button to send us a message. We look forward to working with you! Come Visit Our Design Showroom! Chester County's Quality Glass Showers, Railings, Mirrors & More! 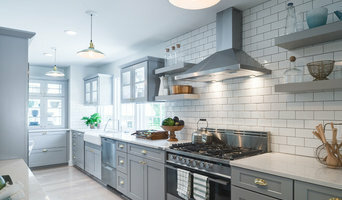 Start Your Dream Kitchen Design Online here: <a rel="nofollow" target="_blank" href="https://ciprianiremodelingsolutions.com/kitchenvisualizer/">https://ciprianiremodelingsolutions.com/kitchenvisualizer/</a> Cipriani Remodeling Solutions is a turnkey Design-Build remodeling firm. We specialize in building kitchens, bathrooms, additions and whole home remodeling projects in South Jersey. Simply stated, we work directly for you to develop any project and design it to enhance your space. We’ll design the new space to fit your family’s lifestyle while also being mindful of your budget. You only need to make one call and we take care of the entire project. Our Team of confident experts are at your service; they are Architects, Designers, Project Managers & Vetted Trade Partners who stand behind our projects with a 3-year warranty and a lifetime service guarantee. We are there whenever you need us! Established in 1978, Cipriani Remodeling Solutions has been in the business for over 40 years. We are deeply committed to each family we work with. We listen carefully to you to incorporate your ideas, interests, concerns, and wishes for an inspired result in every project we undertake. Our clients consistently rave about their experience with us because we provide service that is far above and beyond the industry standards. Our passion and integrity are what make us unique. 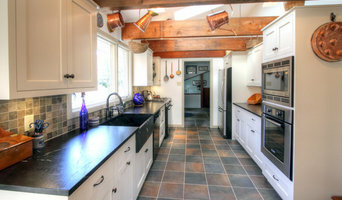 We are a full service design/build kitchen and bath remodeling firm. We are also available for additions, basement fit outs, windows and doors and other home remodeling projects outside of the kitchen and bath. As a family owned and operated business, we understand the importance of customer service and satisfaction. We will walk you through the entire remodeling process from start to finish and we guarantee you will be satisfied with the craftsmanship and quality of work our employees perform time and time again. Our experienced bath and kitchen designers will help you visualize your dream and our hardworking installers will turn it into a reality. Come visit our showroom today! *Authorized Dura Supreme Cabinetry Dealer* dRemodeling is Philadelphia's HIGHEST-rated home improvement company having been named in Remodeling Magazine’s Big50 which includes the best fifty remodeling companies in the country, AND having been named Contractor of the Year in 2017 by National Association of the Remodeling Industry (NARI). We have also won Angie's List Super Service award 8 years in a row, in addition to having won Best of Houzz in both Design and Services 3 years running, further supporting our commitment to design, quality, and customer satisfaction. We are a ONE-STOP-SHOP for Kitchen, Bathroom and Basement projects. Under one roof we have, Award-winning Interior Designers, Amazing in-home technicians (Licensed Plumber, Licensed Electrician, Master Carpenters, Tile Installers, Painters, etc), a Showroom and Design Center (carrying top-industry brands for kitchen cabinets, vanities, tiles, natural stone, hardwood floors, plumbing fixtures, quartz, marble, and granite countertops, and high-end appliances). dRemodeling is your ideal home remodeling solution. For starters, we are a ONE-STOP-SHOP as stated above. This takes the stress out of the process for you, and helps you save time and money while avoiding the burden and liability of acting as the general contractor for your own project. Our unique interior designers and skilled installation team will work with you from design conception through completion. We handle everything for you, all under one roof. To top it all off, dRemodeling offers a 5-YEAR warranty on labor and materials when you hire us for our full Design, Material Procurement, and Construction services. The dRemodeling Team includes real people with inspired solutions who are motivated to make your remodeling dreams come true! We look forward to get to know you and your project! Happy Remodeling! Call us @ (215) 848-4444 to schedule an appointment to come in and meet one on one with our designers at our Showroom and Design Studio! Our mission is to provide our customers with home improvements that are completed by knowledgeable craftsmen. Since 1970 we have strived for customer satisfaction by offering our service for a reasonable price. “Quality, Honesty, and Integrity” remains our focus, helping us to better serve our customers, provide a positive work environment while furthering our growth in the industry. International design company specializing in kitchens, bathrooms and space planning, with emphasis on modern simplicity of European designs. We offer solutions, not just products. And we craft our projects, don't just produce them. Our goal always remains to enhance the existing living and working environments, indoor and outdoor, to elevate the functionality, harmony and organization of the space and to bring about overall comfort. What does a Downingtown kitchen and bath remodeling expert do? Licensed Pennsylvania kitchen and bath remodelers are contractors who specialize in altering the structure of an existing space, rather than building one from the ground up. Because he or she must deal with a previous builder’s work, the job can get more complicated than new construction. You might wonder why they often specialize in both kitchens and bathrooms, but if you think about those two spaces, they actually have a lot in common. Kitchens and bathrooms include an abundance of fixtures that require careful planning and installation, including sinks, faucets, tubs and toilets that all need water hookups and drainage. They also use similar materials, such as tile and stone for countertops and flooring, due to the nature of their use. So it makes sense that Downingtown kitchen remodelers and bathroom remodelers be one in the same. A bathroom or kitchen remodeler translates architectural plans from page to reality; some are also trained to provide design services so that you don’t have to hire a separate pro. Like a general contractor, a kitchen and bathroom remodeler in Downingtown, PA is responsible for hiring and supervising subcontractors and providing materials when necessary. They also should have a thorough knowledge of Pennsylvania building codes and construction-related legal issues, as well as current design and product trends. Here are some related professionals and vendors to complement the work of kitchen & bath remodelers: Woodworkers & Carpenters, Kitchen & Bath Designers, Interior Designers & Decorators, Architects & Building Designers, General Contractors. Find a Downingtown kitchen and bathroom renovator on Houzz. Narrow your search in the Professionals section of the website to kitchen and bathroom remodelers in Downingtown, PA. You may also look through photos of Downingtown, PA spaces to find kitchens or bathrooms you like, then contact the bathroom or kitchen remodeler who worked on it.